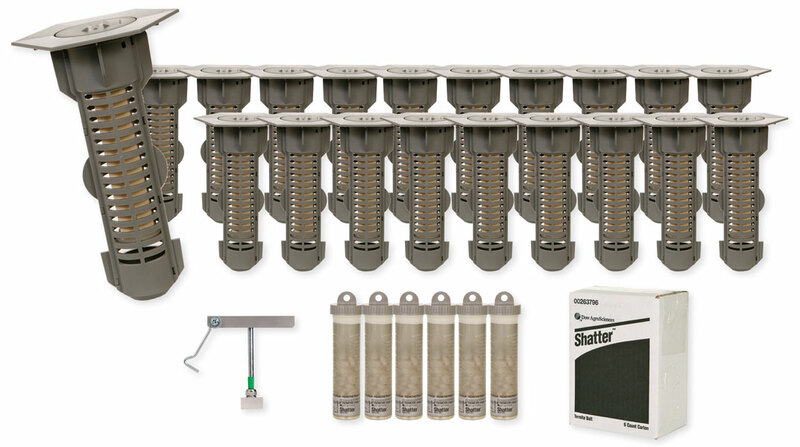 the Hex Pro Termite Baiting System is for subterranean termites only. The bait stations are installed into the ground every 10 feet around the perimeter of the home or building, and just inside the roof edge or overhang. They are then inspected every 90 days and baited with Shatter Bait when termites appear. Control and treatment depends on the species of termites and where you live. Subterranean or ground termites require a much different treatment than drywood or aerial termites. Let me know where you live (city, st) and what you are seeing and I can help guide you in the right direction.